What is Metadata Check and what does it mean to me? 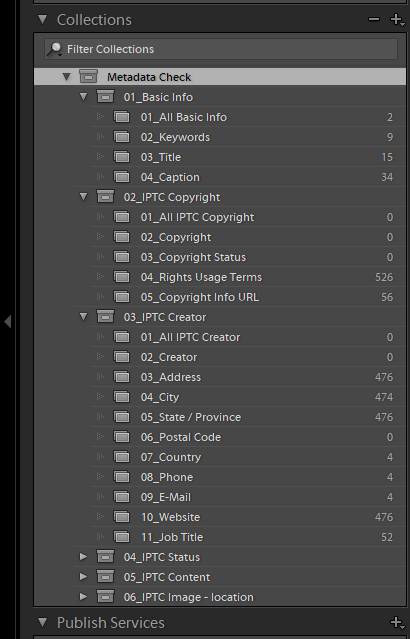 This plug-in checks for all selected images for missing metadata. All professional photographers working with a stock agency know that delivering metadata along with their photos is essential and often required. But also when publishing to clients or the web, metadata like keywords, title, caption, creator and copyright information is essential! 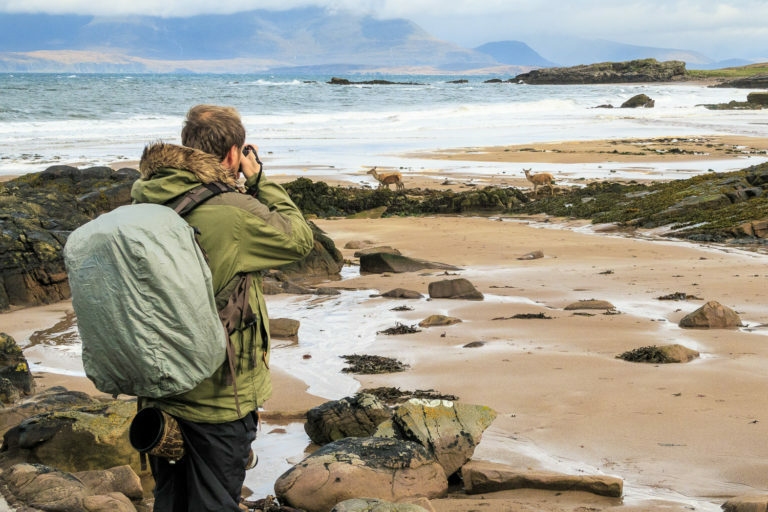 Geurt Besselink, one of the top nature photographers in the Netherlands, noticed that there was no easy way in Lightroom to check if photos had the required metadata before delivering them to his stock agency. We collaborated and we created the solution for this problem: Metadata Check! This unique tool - Metadata Check - checks for all selected images if metadata is available. 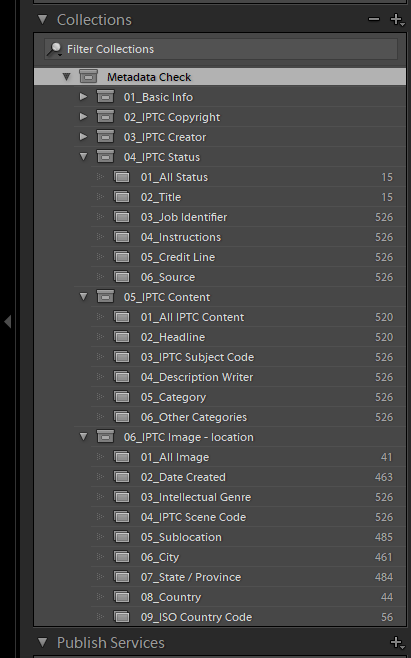 In total 43 metadata types are checked, grouped in 6 metadata groups, like the "Metadata Sync" panel in Lightroom. Metadata Check is a quality check tool. Metadata Check is a tool which checks if a photo contains the needed metadata. For each type of metadata a collection is created which is populated with all images missing information. Metadata Check is recommended for photographers: professionals, semi professionals, photo enthusiasts and anybody else as a great help in ensuring that their photos have the right metadata, like keywords, copyright and creator information. Run Metadata Check before delivering your photos to your client, before uploading them your stock agency or to a website. Select the photos you want to check (max 2000). Btw, the limit of 2000 is there because we create collections for the individual metadata fields. After running the plug-in on the selected for each metadata type a collection in created. In total there are almost fifty collections and collections sets created see screenshots below. In this example 526 images are checked. 2 images of these 526 have no keywords and 15 images the title is not given. On the configuration panel of the plug-in you can specify your default settings. 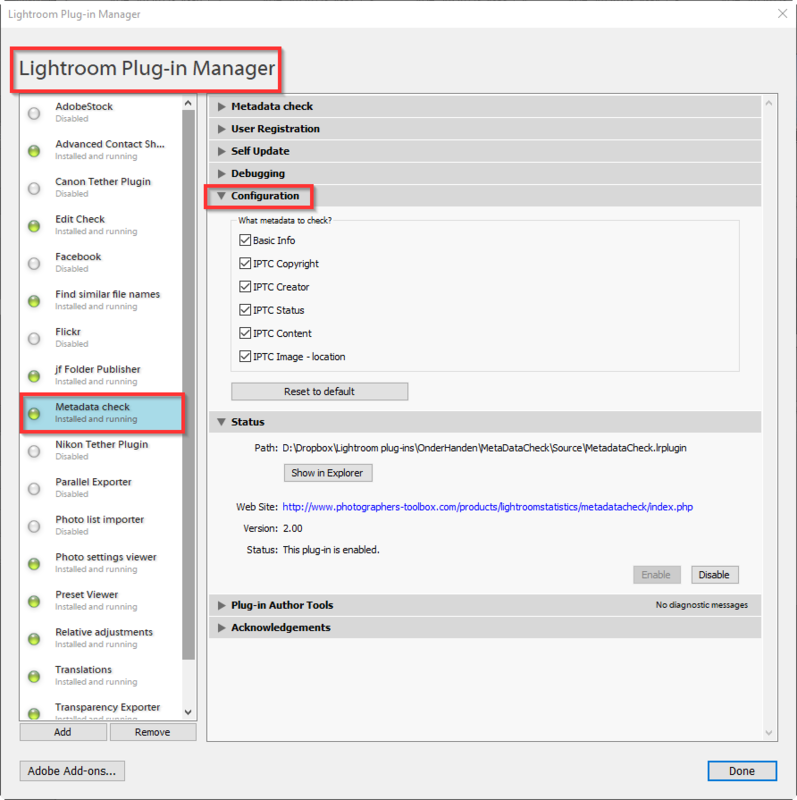 You can find the configuration panel via the Plug-in manger (menu File -> Plug-in manager) and choose the "Photo list importer" plug-in and open the "Configuration" tab.